How NinjaCart is delivering freshness directly from farmers to consumers? NinjaCart is a B2B marketplace which sources farm fresh vegetables and fruits from the farmers to customer. NinjaCart started its operation in May 2015 as a hyper-local grocery delivery company. After six months of operation, the co-founders including Ashutosh Vikram, Sachin P Jose, Vasudevan Chinnathambi, Sharath, Thirukumaran and Kartheeswaran, felt that the backend supply chain of fruits and vegetables was broken and inefficient. So, by December 2015, the company pivoted the model to become a full-fledged B2B marketplace. Why we chose NinjaCart as Startup of the Week? NinjaCart has a customer base of over 400 retail stores and restaurants in Bangalore. Its average monthly capacity is about 1.4k tons and monthly revenue of around Rs 4 crore. NinjaCart got a huge fund of 20 crores from Accel Partners. There were a lot of middlemen involved in the process with no transparency in between. The production of the farmers moves from hand to hand before reaching to the end consumers which resulted in farmers hardly making any money for their livelihood. The market had huge potential and tremendous scope of development with untapped market. The founders thought of value addition in this space by integrating technology with and operations and hence NinjaCart, an online platform for retailers and merchants was born to source fruits and vegetables directly from the farmers. The vegetable market in India is expected to be buzzing with farm-fresh veggies and fruits. But, in reality, the vegetables aren’t as fresh as displayed in travel guides and brochures. Sharat Logathanathan, the co-founder of NinjaCart visited “Subzi Mandi” and discovered the truth for himself. He recalls being shocked at the amount of produce being dumped as waste. In a country like ours where people don’t have food, wastage is unacceptable but then, it is harsh reality. The unique model allows everyone to get benefited from. Everyone who is involved in the process gets benefited from this transparent model. Farmers as well as customers both get highly benefited. Farmers collect more money as there is no middleman in between and talking about their selling; they directly load their produce onto NinjaCart vehicles which are sent to deliver produce to the customers. They receive their payment through NEFT. On the other hand, customers also have advantage as they receive good-quality, fresh fruits and vegetables at reasonable prices. As of June 2016, NinjaCart has a customer base of over 400 retail stores and restaurants in Bangalore. The average monthly tonnage is about 1.4k tons and monthly revenue of around Rs 4 crores. According to Vasudevan, the co-founder, NinjaCart is the only player in this space that delivers quality goods in a span as short as eight hours. They also guarantee daily supply, easy management and absolutely fresh produce. 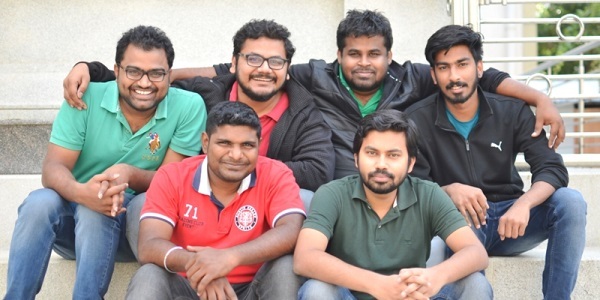 NinjaCart got a huge fund of 20 crores from Accel Partners which is the country’s leading VC. Other VCs are Qualcomm ventures and Zop. NinjaCart caters to many villages in and around Bangalore and deliver the produce to some big names like Whitefield, Marathalli, Indiranagar and many more.